Sure my new 4S's camera is pretty fantastic and all, but these are obviously no substitute for nice SLR food pics! Still, it's nice to not have to carry an extra point and shoot around if I don't want to/forget. Just wanted to share some casual dinners consumed in the last week or so. Ridiculous fatty junk food at Lou Malnati's in Chicago. I believe we had BBQ wings, cheesy bread and two types of deep dish pizza with extra buttery crust. Just looking at these pictures is clogging my arteries. We stumbled back to the hotel in a food coma daze. And if that weren't enough, we were super hungry one night last week and went all out on the comfort food at Kitchenette. 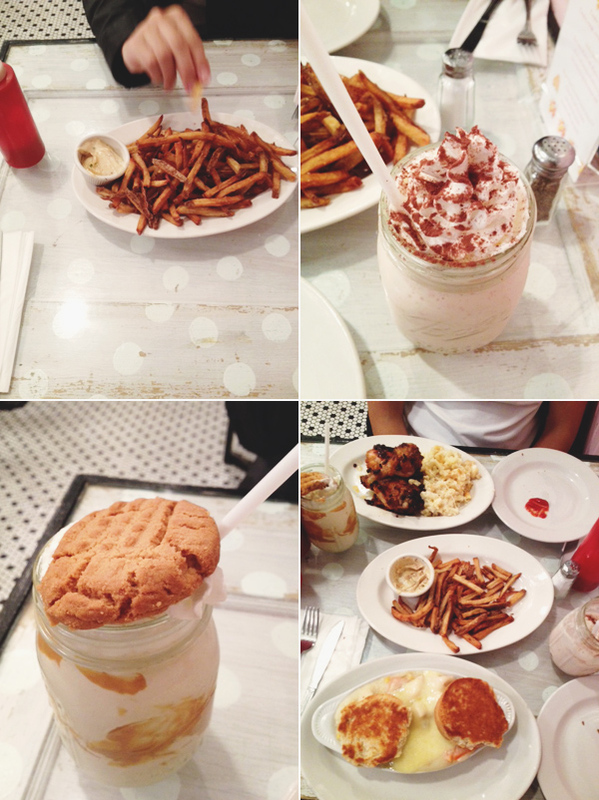 Fries + garlic mayo, two crazy indulgent shakes, chicken and biscuits for me, and fried chicken for J. Finally, some greens in my life! 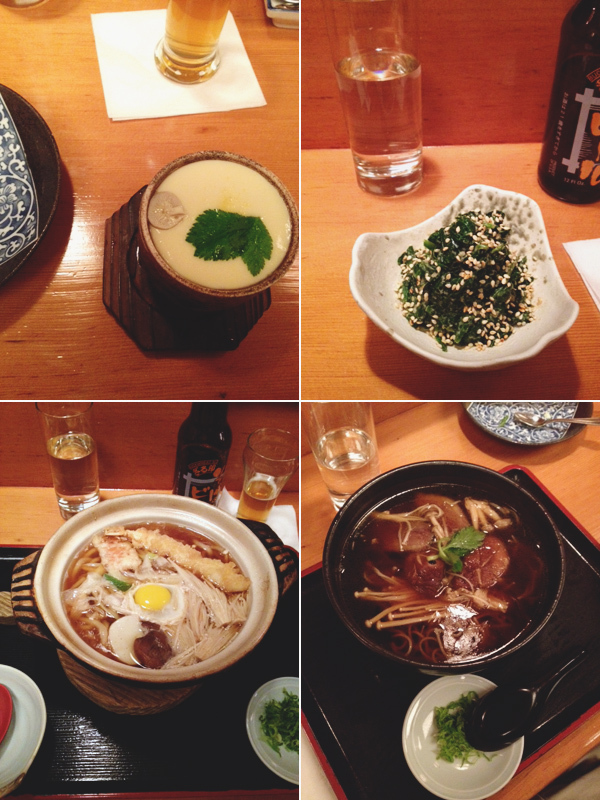 At Soba-ya, some chawan mushi, spinach with sesame sauce, a giant bowl of nabeyaki udon for me, and some duck soba for J.
oh my! did they have a defibrillator at the restaurant? fatty but oh-so-delicious!! yum, deep-dish pizza. gotta love chicago food. artery-clogging but so damn good. and those shakes! in mason jars???!! so yum. I. Love. Chawanmushi. So. Much. Butter and fat make everything better ;) Hey - building up natural insulation for the winter is perfectly valid reasoning... it's what I'm using at least!